Why Roc? Discipline, consistency, passion, dedication, community, no alliance agenda. My voice is your voice. I’ve been a part of New Eden for nearly seven years now. It’s hard to believe when I say that out loud to myself. Like many veterans, I’ve watched our universe reinvent itself time and again, sometimes for the worse, but overall for the betterment and continued longevity of our beloved game. I am passionate about our universe in all aspects, even those that may not appeal to the vast majority. I believe that every facet of EVE Online is what makes it wonderful, not just the current topic of the moment. While there are glaring issues and hot topics like nullsec POSes, lowsec engagement, future direction of ship rebalancing, graphics upgrades, etc, etc, there are also continuing issues such as Incarna, API, UI, exploits, botting, and more. 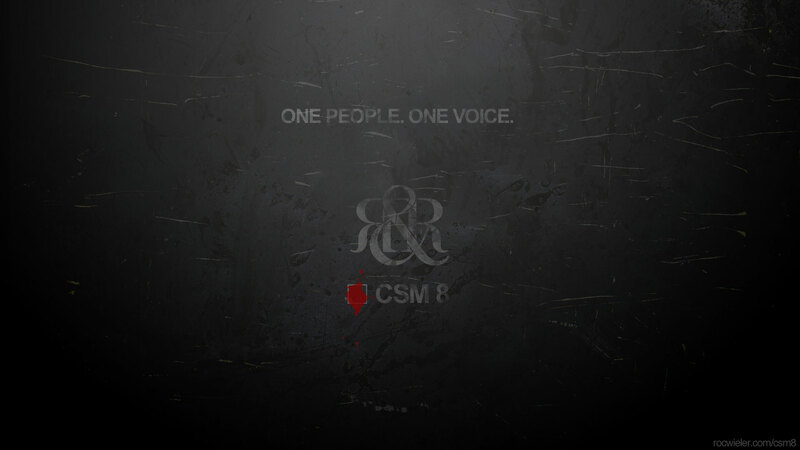 As a member of the CSM, I would be your representative. To push my own ideas would be flawed, though I will always welcome discussion on how to improve all of our ideas. I do my best to keep abreast of everything that can potentially affect my enjoyment of our game, lurking in forums, engaging in community blogs, digesting what third parties say about CCP’s efforts, but I am just one man – one man with one voice. In game I have only experienced some of what our game has to offer directly, and probably some things that others haven’t experienced. My time in New Eden has been unique to me as yours has been unique to you. I have been in large alliances. I have been part of the factional war. I continue to fund myself through market trading, scams, and killing pirates, which I suppose is a form of piracy on its own. I have been industrious. I have hung around my Captain’s Quarters. I have developed third party applications use the API. In a gesture of transparency, I have never mined. I have never been a Director in an Alliance, though I have been a Director within a corporation. Does this negate my value in those two arenas? Hardly, because you have been part of those mechanics, and through you I am made better. All of these have been learning experiences, and I am always growing. There are many complex underlying systems involved in EVE Online, and I’ve been fortunate to have a peek at some, to speak intimately with those that have built them and continue to work on them, to have an appreciation for what CCP does and how we can identify how it can be done even better. Out of game I have spent the better part of my life focusing my career on being that trusted individual people turn to when they need the right answer, when they need a well thought out plan of execution that not only meets the need, but exceeds it. I am a lateral thinker, naturally able to see multiple paths and quickly select the appropriate direction. I am a developer. I am a QA specialist. I am an Information Architect. I am a digital Project Manager. I am a Technical Director. My job has always been to deliver the best. I’ve never done it alone. I am just one man – one man with a voice. I have mentioned that I am one man with a voice. I am. It’s a strong voice, a consistent voice, a voice that I have always used to advocate our community both in and out of game. My humble blog has retained a consistent following over the years as I’ve explored various aspects of Roc’s immortal life, and through Roc, my own life. I am the voice of reason amidst the storms. I am the storm amidst the tides of complacency. I am a solid Roc upon which you can rely. I do not waver from any commitment. I do not falter from any challenge. I can be depended upon to give my all to any task set before me. I believe in people. I believe we are all of value. I believe that when voices unite, change is inevitable. I believe in you. I believe in me. I believe that together our voices are made stronger. I believe we can make a difference in our universe. I hope you believe the same. 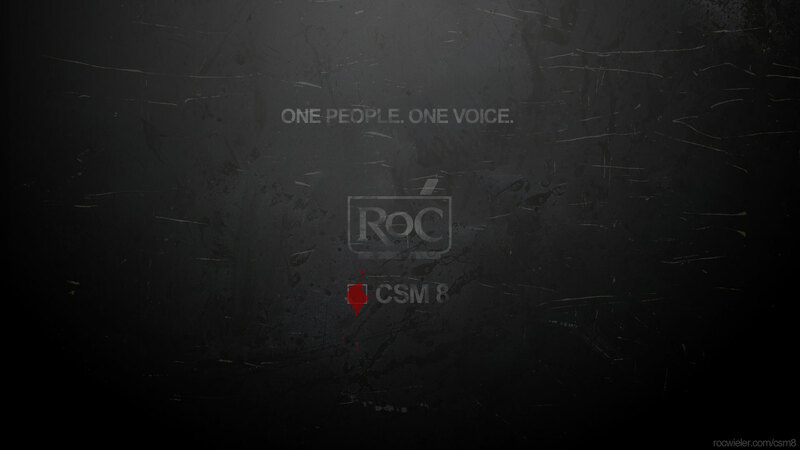 Roc the Vote. In response to a concern from the EVE Online forums about my “lack of platform” platform. I think one of the issues I’ve run into years past when running for CSM is the concept of “no platform”. I actually have a platform. I have ideas. I have opinions. On all aspects of the game. The truth is that the CSM does not drive CCP’s development direction. That was never the nature of the beast. The CSM is a sounding board, and when used correctly can indeed help mitigate bad decisions but has never been in a position of authority and honestly shouldn’t be. I need to communicate that better. I admit. I have carebear moments where I really don’t want to be shot at. The easy answer there is to not undock. I can’t get shot if I don’t undock. Might be time to get some market orders up to date anyway. The truth is, as has been put forward by others, that open PVP is instrumental to learning how to prosper in EVE Online. When I think back to my own career, and the stories that have been shared amongst real life friends, 99% of my deaths were caused by own stupidity. Period. I should’ve known better than to do what I did that resulted in my death. The idea of making EVE “safe” to appeal to a broader player base is not something I agree with when it comes to PVP. Do I agree with docking games? No. Do I agree with other abuses of the system that would be the equivalent of “lvl 80 on a lvl 1”? No. Undocking, as an example, is a fundamental game mechanic that everyone needs to do. Dying as soon as I do shouldn’t be seen as right. I can also make a counter-argument. If I’m in lowsec or nullsec and undock then I have every right to be shot at. It was my own dumb fault for docking up where I did. It’s part of the harsh beauty that is New Eden. I respect Jester. We’ve agreed and disagreed in the past on things. This could be one of them. Last year I wrote about my own ideas for ‘themeparking’ EVE with a method that would produce everychanging content taking the pressure off of devs. You can read about that HERE if you want. POSes. Need of help. Yes. I know CCP Seagull and I can believe that what was in the CSM Minutes didn’t reflect the truer story. I also believe that any longterm solution for such a critical component of the game should be taken slowly with lots of discussion with the players and CSM to ensure a system that we’re all happy with going forward. Do I know what that system is? No. As you mentioned, there is a 100 threadnaught with many ideas and trolling already that give a wealth of insight into the issue. Next point. SOV Mechanics. Broken. Yes. Obvious. Yes. What you’ve done here, perhaps on purpose, is reinforce my platform of “The voice of the people.” SOV mechanics and POSes might not be important to a lot of people. I still care enough to be informed and have an opinion. Highsec carebears may not matter to the other end of that spectrum. I still care care enough to be informed and have an opinion. Again, I must reiterate, any CSM candidate that stands on singular platforms doesn’t deserve the position. The CSM represents ALL PLAYERS not just the ones that agree with their ideas. What areas of the game are YOU better than the average meatbag in? What experience do you have to make me vote for you over any other candidate promising they’ll be a solid CSM member who listens to the people? That’s exactly the point! I am the average meatbag. I have no agenda to push nullsec, or factional warfare. By saying I represent all players I am saying that each and every concern is as equally valid as another. THAT alone should be enough to grant me a seat at the CSM table if for no other reason than to keep those with hidden agendas in check, to keep things honest. The reason the CSM is not a single person is also because no one player can possibly have all the knowledge and experiences to relate to every player. I won’t even pretend to. It’s only through intelligent and collaborative efforts that the CSM can succeed. What about those that want aggression removed from highsec? You said you’re very anti-carebear on this topic. Not to mention you’re vain as your blog is about you. How dare you! My blog is about me, yes. Roc’s Ramblings. It’s my personal experiences in EVE Online. There is occasionally some non-roc-related EVE fiction as well as out of character posts. That has no bearing on my involvement or love for this community. In fact, if you’ve read or followed my blog you would know I’ve ran many contests over the years as well as other community oriented initiatives. Right now, for example, is the Fandom contest, where the winner will be the featured vocalist on a self-produced album with all proceeds from all my album sales going to Child’s Play charity. I also don’t have a HTFU attitude at all. I have my own opinion. Being able to state one’s opinion with strength of conviction and the hopes of intelligent and productive debate shouldn’t be a demerit. Anyway, that doesn’t answer the questions asked. – what is position 1? – what is position 2? – can the two co-exist? If so, how? That last point is often the scariest in any project regardless of medium as you are undoubtedly going to make some people unhappy. In a nutshell it essentially means you can’t have any “aggressive” or “combat” oriented modules fit when you undock. If you do, you can be attacked, as per normal gameplay. If you don’t have any of the aggressive or combat modules fit in high sec, then you have safe passage through highsec systems. This caters to the carebears but also allows for mistakes to be made, and thusly, maintains EVE’s harsh learning curve. Another idea could be “diplomatic immunity” where a pilot can literally purchase a pass they store in their cargo hold. The more systems in high sec they want to pass through, the higher the cost of the pass. Of course, the second the pilot leaves highsec, the pass is revoked. This creates an ISK sink as well as the chance for mistakes to be made, and thusly, maintains EVE’s harsh learning curve. What I’ve done here is called brainstorming. Already I can see problems with my own ideas. As a member of the CSM it would be my job to honestly critique ideas, tear them apart, poke holes in them until the best solution for a particular issue is identified. Of course, this is where CCP says “we’re going to make it shiny” and as players we are reminded that the CSM doesn’t direct development of the game and can be ignored at a moment’s notice. Stay calm and vote Roc. From Twitter @tyroTheRascal asks: Do you have a realistic “fix” for what you perceive as a problem in ganking that doesn’t change EVE fundamentally? 1. We all need to be smarter. As I’ve mentioned before 99% of our deaths are self-inflicted through making wrong decisions we should’ve known better than to make. 2. The only idea I’ve had about ganking is called “diminishing returns”. It’s not a well-liked idea by many, but it’s an idea. Essentially the system would look at the number and composition of allies vs the number and composition of enemy and run some equations in the background. This system could be made to affect any encounter statistic such as chance of hit, falloff, etc, etc, though I don’t like that approach. The approach I like is that if you have 10 battlecruisers vs 1 frigate, you’re chances of recovering anything from the wreck are minimal as you’ve literally blown it to hell, vaporized it completely, so what could possibly be left? I’ve thought further about this with ideas of squad bonuses, fleet formation bonuses (when there was talk of fleet formations) and other scenarios that would leave relatively equal battles as is but penalize for serious ganking. 3. It shouldn’t matter honestly. What should matter is that I bring that idea to the CSM table. I bring EVERY idea to the table to make sure it is voiced. 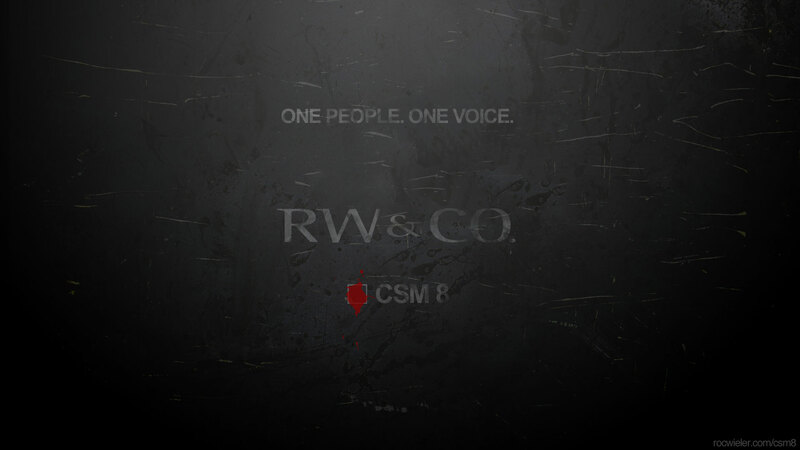 As a team, the CSM then researches, dissects, and comes to a unified recommendation to discuss with CCP who ultimately will do what they want with the information. Let me put my views into context. I am in my second year running as the President of a Board of Directors for a 50 million dollar condo corporation. In that time, I’ve had to make one single decision to break a tie vote between our five members. My approach is that all ideas are valid until proven otherwise. I stay informed and educated on topics, but respect that others will never see things exactly the same way I do. What I encourage in our Board meetings is that everyone expresses themselves to which I add critical analysis, always playing the devil’s advocate in the hopes of presenting snippets that may not have been considered. This has worked on hundreds of issues save that one time … so I think I’m doing it right. From Twitter @CCP_Sisyphus asks: What is your tak on making Eve “easier to use”? Usability is the single most important consideration in any endeavour. I know in my professional career as a Technical Director of an Advertising Agency that UI/UX is where I spend much of my planning time. If people can’t use it, they’ll leave. Period. I’m all about making things easier to use, including Eve. It’s been called “spreadsheets in space” for a reason. It is an incredibly complex and intricate game with a wealth of information available upon drill-down. This is something that makes the game astounding. The problem is that it can be very overwhelming for a new player. The continued revamps to new player experience, educating them to the interfaces and information are great steps towards player retention, as are the continued iterations to the UI itself. The tricky balance, of course, is that easier to use doesn’t mean easier to win. Eve is a harsh game and should remain as such. There should be complex mechanics involved in some game systems to reward players as their journey continues. They should not be cost of entry, a barrier that prevents acceptance of the game up front, but Eve should never be made so easy that a five year old can play it, much like World of Warcraft. 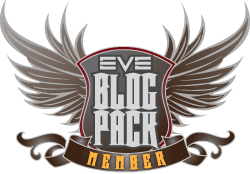 From Twitter @RigsyOnline asks: how do you think PvE in Eve can be improved? From Twitter @AzamiNevinyrall asks: What’s your ideas for the “Sea of Blue” and nullsec warfare? Nullsec is Alliance controlled. Period. There are many aspects of nullsec that should be addressed that will each have an impact of the sea of blue. Personally, I see nothing wrong with alliances having complete and utter control over their systems, theoretically. They worked to establish and maintain that territory so it shouldn’t be an issue. War was never meant to be easy, broken mechanics nonwithstanding. If you see the comment above you will also see my ideas on how to make all of New Eden less static, thereby adding conflict and challenge to even the nullsec alliances. As for detailed ideas about this topic, I believe it’s been addressed thoroughly by many players and CSM candidates. If I become a CSM member, I’m happy to debate these topics at the table, aiming to find flaws with the goal of finding the correct solutions together as part of that team. From Twitter @KaraWinter1 asks: excluding duct tape or a large hammer how would you unite the CSM to improve EVE all for all not a few large corps/alliances? Let me start by saying that there is definitely bound to be overlap between CSM united correct solutions and the agendas of players/corps/alliances. The reason for this is simple – everyone has an opinion, and some opinions are shared by a great many people. If there are 50,000 players saying that space is really blue, not black, that needs to come to the table for discussion. If we agree that yes, space is blue and present it to CCP as a united CSM, that doesn’t mean there was a corp or alliance agenda, it means that it was the right decision to make that happened to coincide with some players/corporations/alliances wanted. How would I do that? Funny thing happened not too many months ago in one of my Board of Director meetings. One of the members is a lawyer. I often do these things we jokingly call “presidential visits” when owners have issues. It’s me and one other Board member. It’s an effort to reduce the amount of legal issues we have to deal with and honestly is just an initiative to get to know owners, sit and listen with them, and understand their position on things then working together, come to an amicable solution. This lawyer recently asked me if I had received training as a professional mediator as she has worked with many and apparently I make it look easy. It was a nice compliment. I’m not a hot-headed, my way or the highway, kind of guy. I only play one in EVE. I’m actually very analytical, weighing all options, looking for the nugget of truth in a situation that works for all parties involved. I can deal with all personality types, command attention when in a room not through force but through presence and sincerity, and do indeed play well with others. At the same time, there are occasions where agreements can’t be had and I resign myself to accepting those moments and not beating a dead horse. I do expect your voice to be louder this year than last!